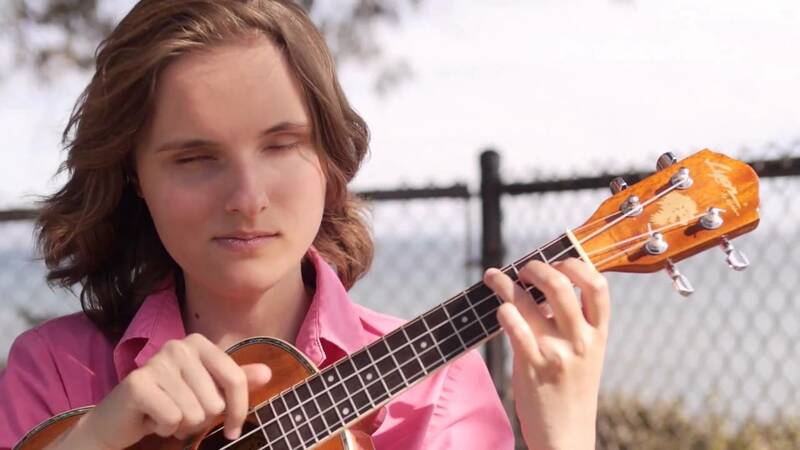 Meet Rachel Flowers, a multi-talented young musician and composer who lost her eyesight due to Retinopathy of Prematurity. Hearing Is Believing, a new feature documentary from Award-winning producer/director Lorenzo DeStefano introduces the world to the multi-talented young musician and composer, Rachel Flowers. Hearing is Believingpremieres on WXXI-TV Friday, January 18, 2019 at 9 p.m. as part of WXXI and Al Sigl Community of Agencies' Dialogue on Disability week. Designed to stimulate community dialogue about the perspectives and abilities of people with physical and intellectual disabilities, Dialogue on Disability runs January 14 through January 20, 2019. Rachel Flowers was born 15 weeks premature, at a body weight of one pound five ounces, and lost her eyesight due to Retinopathy of Prematurity (ROP). When she was two years old Rachel began picking up melodies from her musician parents and was soon playing every song she heard by ear, including Bach fugues. The child had perfect pitch. Starting her formal musical education at the age of 4, Rachel spent the next 10 years studying at the Southern California Conservatory of Music, appearing in two episodes of 60 Minutes when she was 12 and 15. DeStefano and his team have created a dynamic and engaging portrait of a year and a half in the life of a tight knit American family, a single mom and her two kids living paycheck to paycheck in working class Oxnard, California, with Rachel’s stunning music as the soundtrack. Hearing is Believing revels in Rachel’s joyous and free-flowing love of song, illuminating in the process the bonds of family, the divine mysteries of creativity, and the great that exists in the small. Among the incredible musicians appearing with Rachel in the film are the legendary Stevie Wonder, Grammy winner rocker Dweezil Zappa, the late Progressive Rock icon Keith Emerson, Grammy winning jazz trumpeter Arturo Sandoval, the young Bay Area jazz pianist Taylor Eigsti, and 50 members of the Santa Barbara Youth Symphony performing Rachel's original composition, At The End Of The Day. Rachel Flowers is a true survivor, a hyperabled individual whose inspiring story has the potential to be a beacon of hope out there.